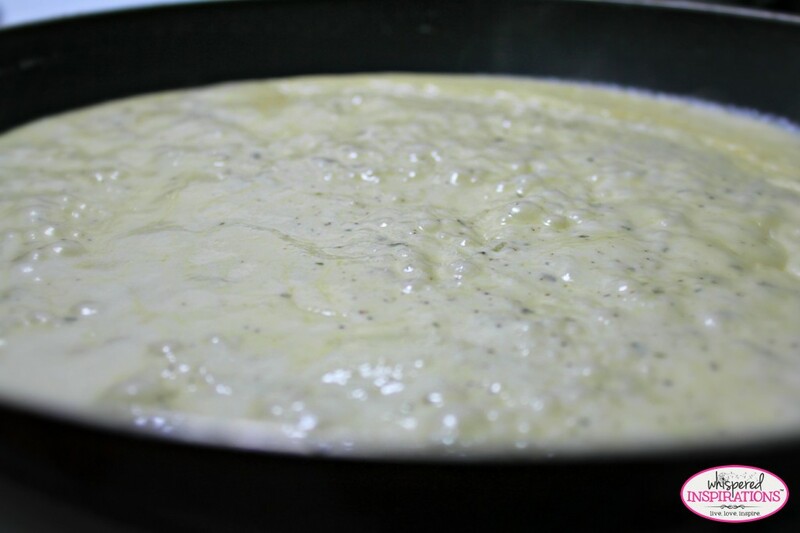 A delicious creamy, garlic Alfredo sauce. 2 tbsp.of Extra Virgin Olive Oil. 3/4 cup of grated Parmesan cheese. 1 box of fettucine or pasta of choice. 1 tsp. of garlic powder. 1 cube of chicken bouillon. Before you get the creamy goodness boiling, you have to prepare it by making an oil base. Chop and mince the 2 garlic cloves, then add 2 tbsp. of Extra Virgin Olive Oil to frying pan, then add 2 tpsp. of margarine or butter, add the garlic and sautee it lightly. Add 2 cups of Heavy Whipping Cream and stir often. Don't be alarmed, it will be "runny" at first. Add your spice mix. Let it simmer but, continue stirring so that it doesn't burn. Once it starts to thicken, add 3/4 cup of grated Parmesan cheese. This part is important. You must stir it constantly at this point, fold from the outside and to the inside. Let it simmer and sit for small periods and then stir it again so that the cheese fully melts and becomes a part of the sauce. The sauce will be thickening as it evaporates the liquid from it. Use your judgment on what you want for the thickness of the sauce. The cheese will break down into crumbles in the sauce and it gives it an extra kick. If you mince your garlic small enough like I did, the kids will not notice it but, will love the flavor! Boil your choice of pasta how you would normally do, strain it and place pasta back into pot. Using the plastic spatula, pour and then scrape the Alfredo sauce onto the pasta. With a pair of tongs, toss the pasta and sauce together until fully blended. Top it with your favorite type of meat, either chicken or sausage for example. You can add veggies to it as well, it is really up to you!